Remember our Lavender Story? It officially ended on 12 July 2012, we were so sad as we put in a lot of effort in ensuring that its not under the hot sun, soil is not too wet or too dry. The seedlings died off one by one. We were so dishearten, we even bought a big pot of lavender from our local greenery. Then couple of weeks ago, 1 seedlings sprout out from the empty pot, were left it alone for a week, and when it grew taller daddy carefully re potted it into a small pot. Days went by and then we saw the 2nd layer of leaves, we were excited but still keeping our fingers crossed hoping that tomorrow we will still see it tomorrow. 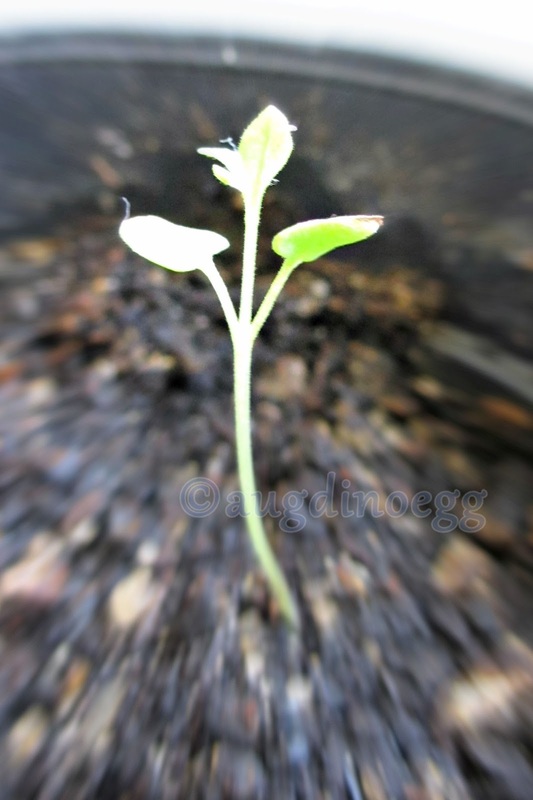 And here it is, growing stronger and stronger, the sole survivor, the Fighter.